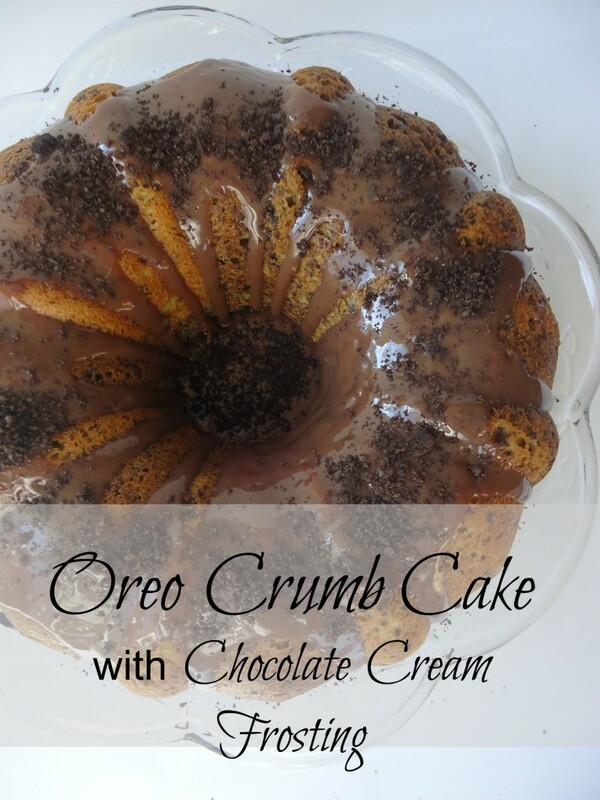 This Oreo Crumb Cake With Chocolate Cream Frosting is a simple and easy dessert you can make in a hurry. You know, those moments when you forgot you signed up to bring something. Delicious, easy and it will be gobbled up! 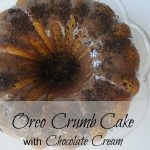 This Oreo Crumb Cake with Chocolate Cream Frosting was made when I was wandering back and forth in my kitchen, needing to make a dessert for my husband. I had a brownie mix and a cake mix on the counter and the thoughts of cookies in my mind. I just couldn’t decide what I wanted to do. I then spied the Oreos I had bought on sale. The ideas started to come to me. All you need for this is a box of yellow cake mix and some Oreos. The frosting is two ingredients too. Great for last minute preparation. Doesn’t the cake look impressive? It’ll be our secret on how EASY it is. 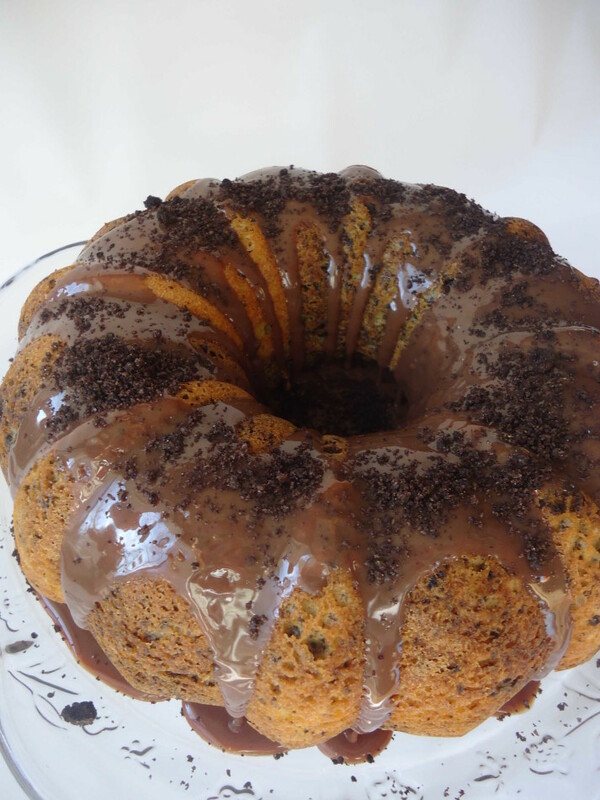 This cake is only a handful of ingredients, easy to make and delicious with OREO cookies and yellow cake mix. Pour batter in greased bundt pan and bake at 350* for 40-45 minutes or until toothpick comes out clean. Heat condensed milk and chocolate chips in a medium saucepan on medium heat, stirring constantly. Pour immediately over cooled cake.